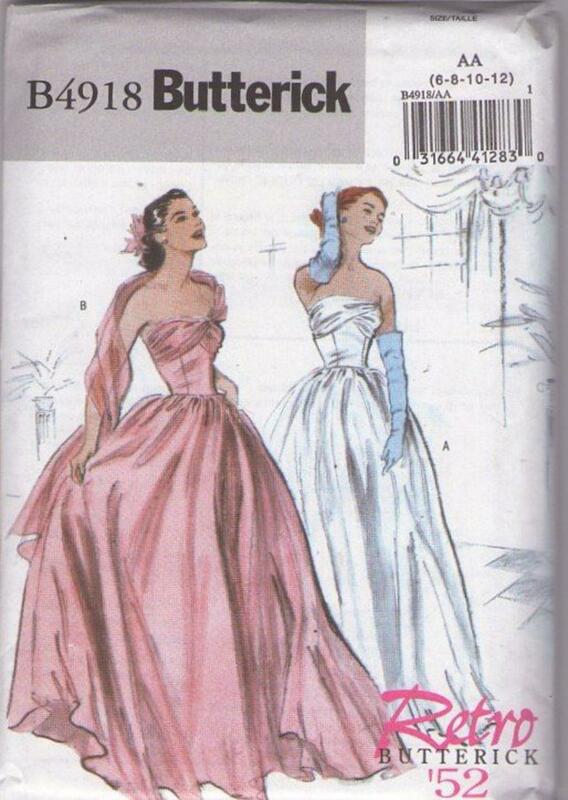 ​Bust 30.5-34", Waist 23-26.5", Hips 32.5-36"
2006 Reproduction, Retro 50s Evening Clothing Patterns - MISSES’ DRESS: Underlined and lined, strapless, floor length dress, has close-fitting boned bodice, fully gathered skirt, princess seams and back zipper. A: self-fabric front drape. B: contrast front drape, extending to form sheer shawl. Based on an original 1952 design!